Welcome to 2017! 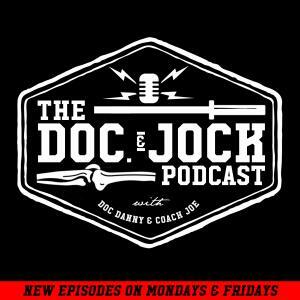 One this Episode of the Doc and Jock Podcast the entire gang (Doc Danny, Coach Joe, and Producer Johnny) jumps on the show to discuss setting S.M.A.R.T. goals. Talk Training with us on all of our social media platforms and our teams individual accounts.